Dimensions 1 by 4 by 6.75 in. Howard, Bob (Fictitious character); Fiction. 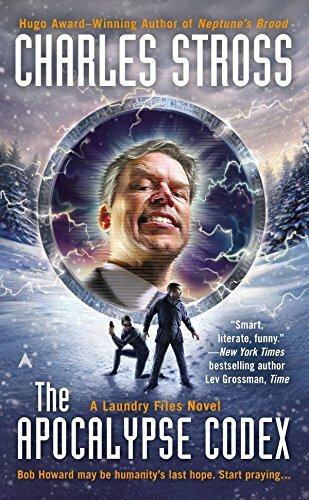 Amazon.com description: Product Description: For outstanding heroism in the field (despite himself), computational demonologist Bob Howard is on the fast track for promotion to management within the Laundry, the supersecret British government agency tasked with defending the realm from occult threats. Assigned to External Assets, Bob discovers the company (unofficially) employs freelance agents to deal with sensitive situations that may embarrass Queen and Country. So when Ray Schillerâan American televangelist with the uncanny ability to miraculously heal the illâbecomes uncomfortably close to the Prime Minister, External Assets dispatches the brilliant, beautiful, and entirely unpredictable Persephone Hazard to infiltrate the Golden Promise Ministries and discover why the preacher is so interested in British politics. And itâs Bobâs job to make sure Persephone doesnât cause an international incident. About: Bob Howard may be humanity’s last hope. About: For outstanding heroism in the field (despite himself), computational demonologist Bob Howard is on the fast track for promotion to management within the Laundry, the supersecret British government agency tasked with defending the realm from occult threats.